Mod The Sims - Castle Moore - No expansion packs required. Castle Moore - No expansion packs required. Castle Moore does not require any expansion packs. You only need the base game for this lot. 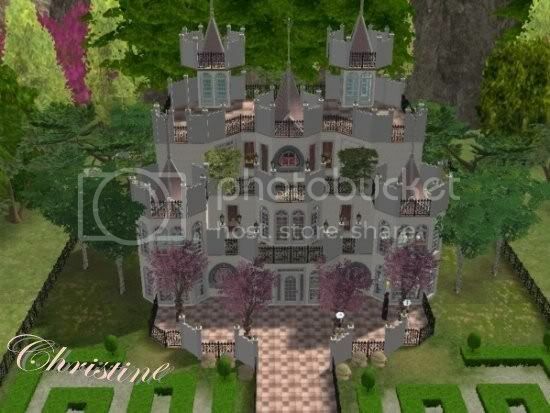 I have created this castle because of the many requests I have received to build houses that only require the base game.This castle features: 3 bedrooms, 4 1/2 baths, formal dining, formal living, covered pool and lush landscaping. Your sim can have all this for just under 300k. Custom Content: Custom walls, floors and terrains were used in making this lot, all CC created by me. As always, I hope you and your Sims enjoy! Note: Please do not upload any of my houses to any website for any reason, Thanks! You may use any of my custom content (walls, floor, terrains and recolors) to build a house for upload to any website that is not a paysite.